Had a chat today with my supervisor about the progress of my projects. 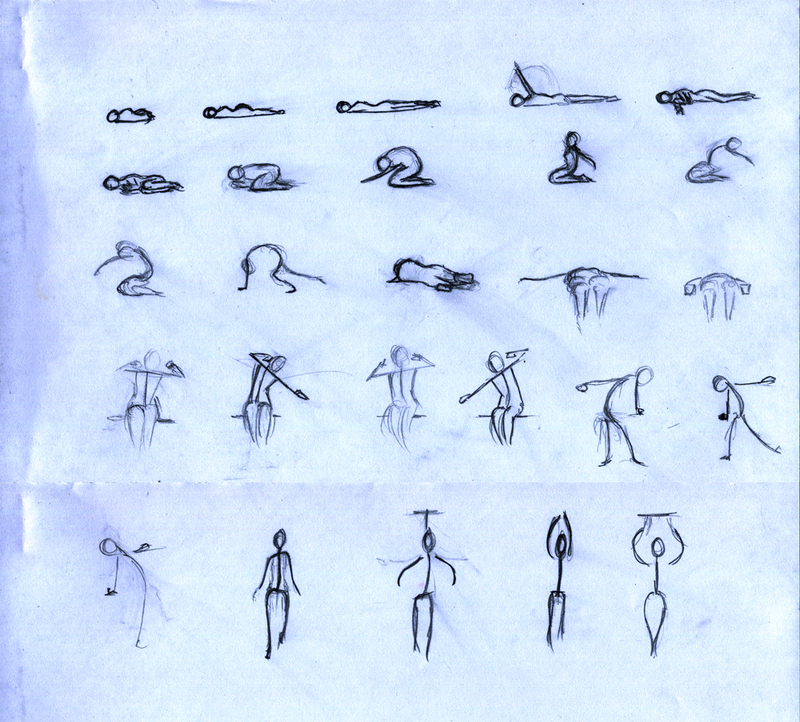 I am getting on fine with Waiting and development continues with me hoping to start animating soon. But the other project has not gotten much further forward. I am waiting to hear back on getting access to the motion capture studio which the project hinges on to progress. As such I am reluctant to put time into the development of a project that might not come to fruition. If there has been no word within a couple of weeks I will have to put the project on hold. 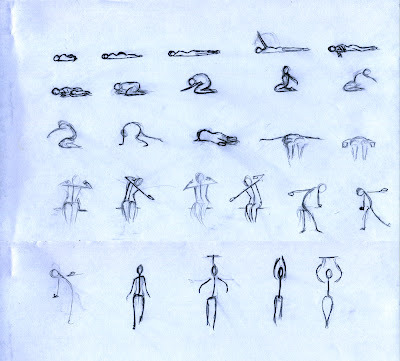 Below are the thumbnail sketches I have done to show the type of movement that I was wanting.